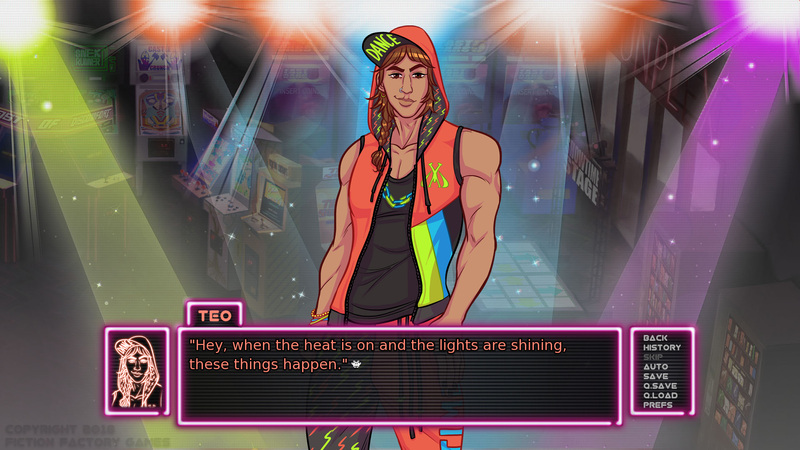 In this edition of the column Sam Wachter heads to the Funplex, as she checks out Arcade Spirits, a new visual novel by Fiction Factory Games. Everyone has a goal or a dream that they wish to accomplish at some point in their lives. One of our greatest fears, of course, is being unable to find our dreams. 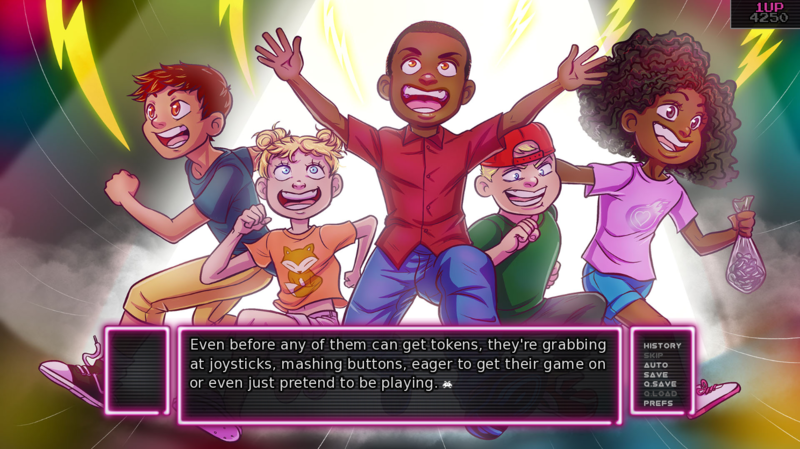 In Arcade Spirits you play a young protagonist who has lost every job they had, each role lacking any sense of fulfillment. However, rent needs to be paid, food needs to be in one’s belly, and crisis mode needs to be averted somehow. 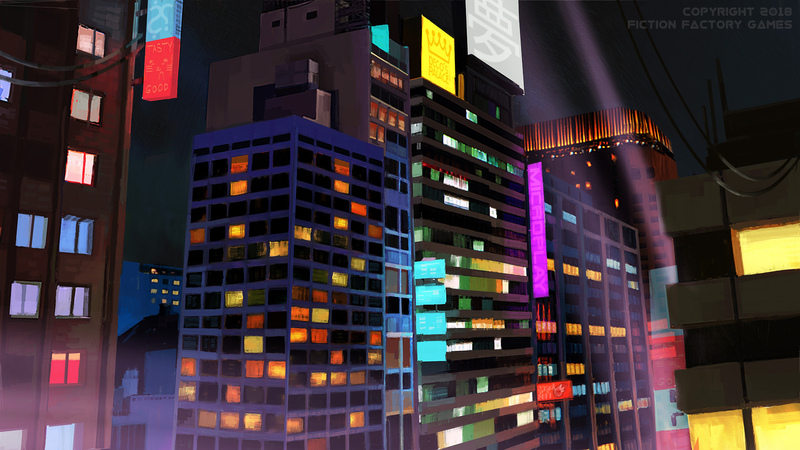 Juniper, the protagonist’s roommate, suggests thinking outside the box for a career. She suggests you download the Identity Identifier System, or IRIS, app — a personal assistance application that taps into your deepest desires in hopes to give the user an idea of what their dreams may be. Upon booting up the app the hero is informed that their destiny lies in going to the Funplex Arcade. 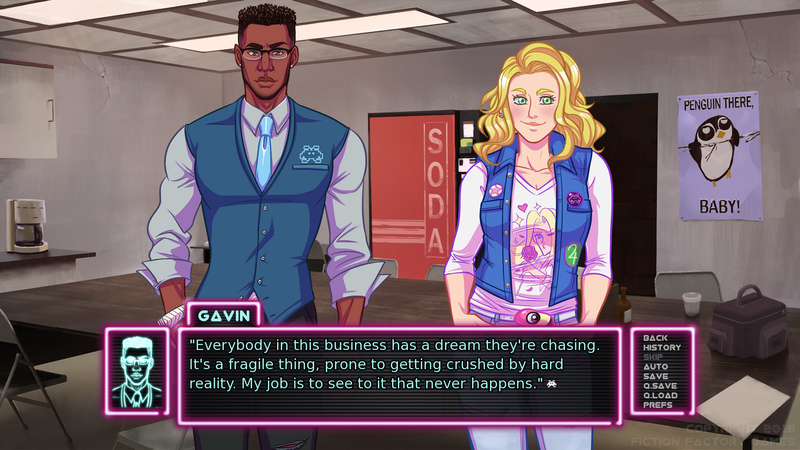 Arcade Spirits is an eight episode-romp that takes a good hard look at finding your dreams and taking hold of them. It’s also about finding your support network and building relationships with those who are like-minded. The player has the ability to respond to decisions in a variety of ways — basic, gutsy, kind, quirky, or steady. How you choose to respond can truly alter the events of the game, so it’s important to really evaluate your choices before making them. Each episode of Arcade Spirits is filled with difficult choices that need to be made, with many moments of laughter sprinkled in. 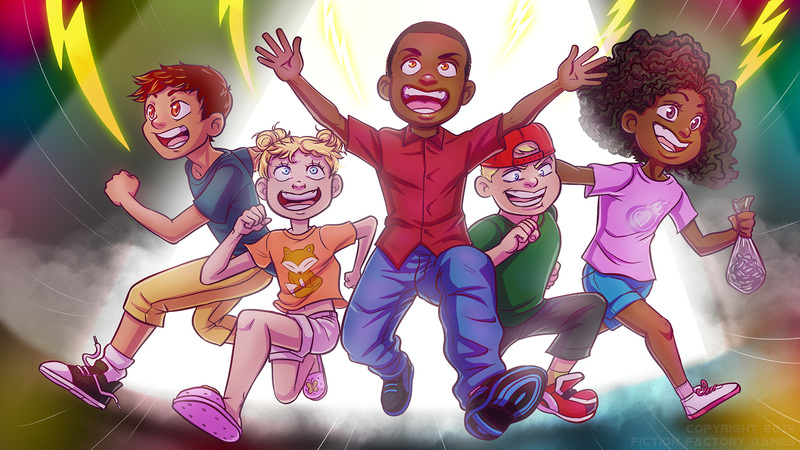 In one episode, the protagonist has to deal with a large-scale birthday party that hits the Funplex. It’s wall-to-wall chaos, with kids in every corner and there’s no escape. Through the insanity the player is asked to make a choice between two potential victims to shield from. It is after this moment that the protagonist meets a crying child named Mikey hiding out in the staff room. It turns out that Mikey was forced to come to the party, but as the new kid in town, doesn’t know anyone yet. The player has a plethora of choices, and in this case, I made sure to show an extra amount of empathy to this sweet boy. I found myself completely engaged with Arcade Spirits. The writing is sharp and the humour is genuine. It takes a lot to make me laugh when playing a video game, and yet I found myself bonded to the passionate team running the Funplex. It was surprisingly difficult to figure out who to romance in the game because every character in the story simply shines. This is one of the rare cases where the entire ensemble cast is delightful, and you want to make each and every one of their dreams come true. 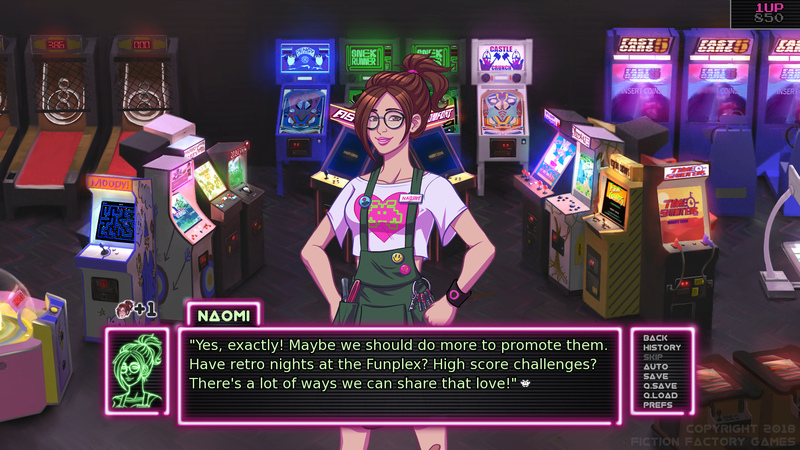 For the purposes of my first playthrough, I romanced Naomi, the proud mechanic of the Funplex, who’s already found her calling in life, but doesn’t have anyone to share it with because making friends has always been a challenge. I loved romancing Naomi, and watching her come out of her shell to defend her dream was truly inspiring.